In case you didn't already know this, over 53% of ALL emails are now opened on mobile devices, so if your emails are not optimized for mobile devices, then you're missing out BIG TIME! Because we want YOU to be able to have GREAT looking, mobile optimized emails with the click of a button! 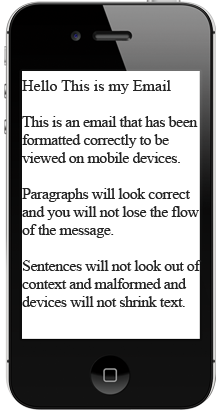 Here's an example of an email viewed on mobile that has NOT been formatted using WordWrap. 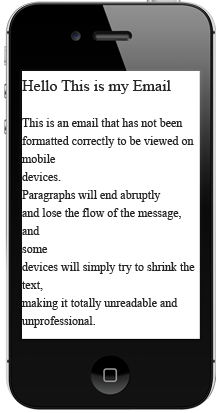 Here's an example of an email viewed on mobile that HAS been formatted using WordWrap. Start Using WordWrap For FREE Here!